March | 2014 | The land of soy sauce.... and Mothra! 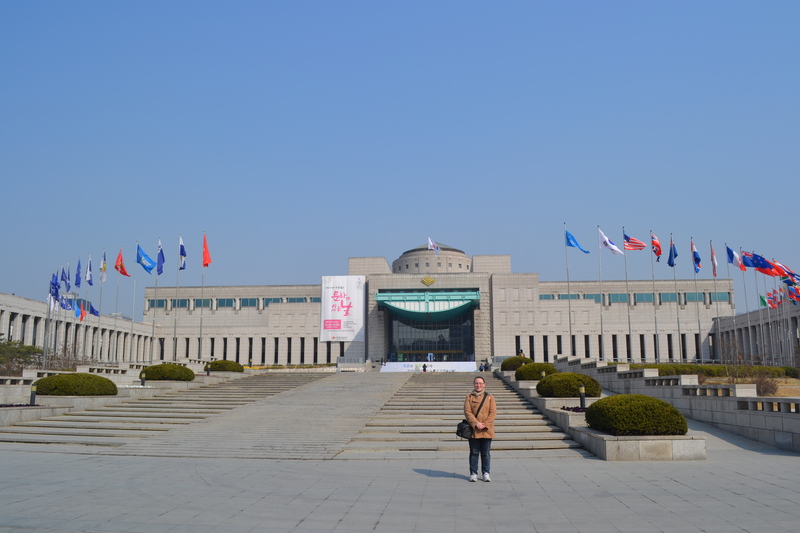 On my last day in Seoul, I got up early again and started the day off at the War Memorial of Korea. Both of my grandfathers fought in the Korean War, so I knew I had to see the memorial. It was a very moving memorial and museum. From the exhibits I could tell that the South Koreans were grateful for all the help they received from other countries during the war, and that they long to be reunited with North Korea someday. I couldn’t help but wonder if my grandfathers were friends with some of the men who died during the war. I left very grateful that they both made it home safely. After spending the morning at the war memorial, I decided it was about time to go look for souvenirs before I had to head home. First, I tried going to Namdaemun Market. I was disappointed when I got there though. 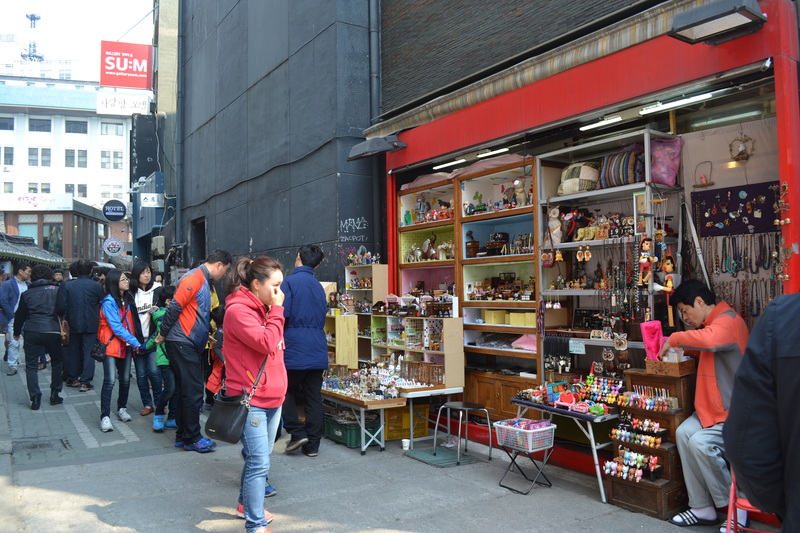 The market is very similar to Dongdaemun and Myeongdong. There was a lot of clothing, accessories, jewelry, and some big department stores. It wasn’t what I was looking for. I didn’t waste my time there so I headed to the last market on my list, Insa-dong. Despite Insa-dong being a tourist trap of souvenir shops, it was my favorite market. The street was lined with shops selling all kinds of different hand-made crafts, art galleries, and of course some souvenir shops. If you only have time to go to one market in Seoul, you should make Insa-dong your priority. I got all of my Seoul souvenirs there. After lunch (I chose bulgogi) I had some time on my hands. 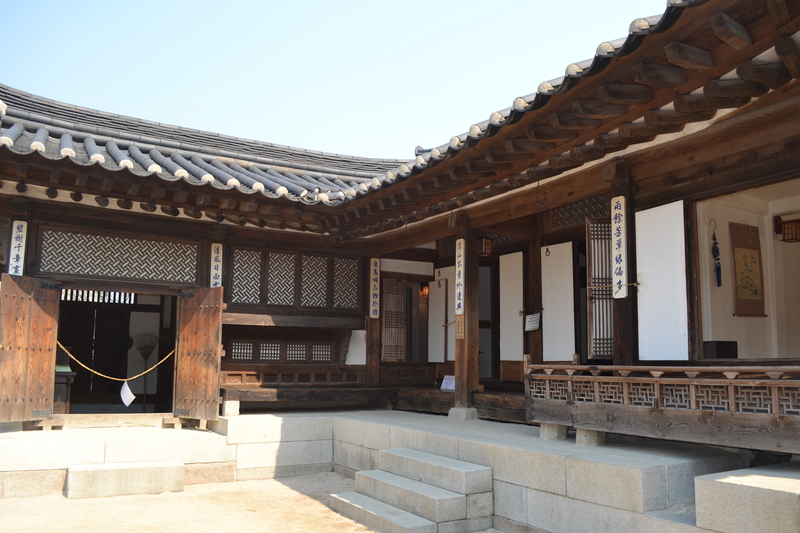 I decided I wanted a chance to see the traditional Korean houses, hanoks, a little better, so I went to the Namsangol Hanok Village in Chungmuro. There are 5 restored hanoks that visitors can visit and look inside of. I’m lucky that I went on a Saturday, because there were student volunteers there to give tours in English! The tours were free and I could tell that the students were doing it to practice their English. It was an informative tour and I would recommend it. To finish my last day in Seoul I went back to the Gyeongbok Palace area to see the Cheonggyecheon stream light up at night. I was expecting the river to turn different colors like blue or red, but I saw something completely different! 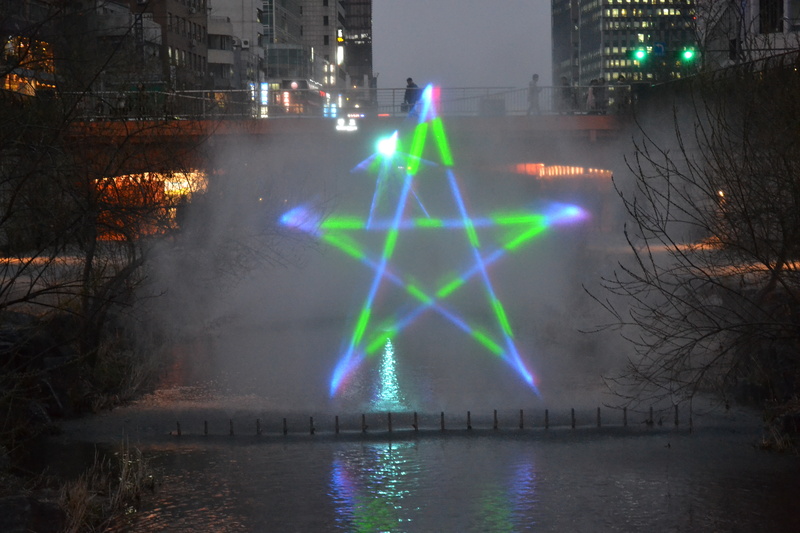 Light was projected onto a wall of water to make a show. It was pretty neat. 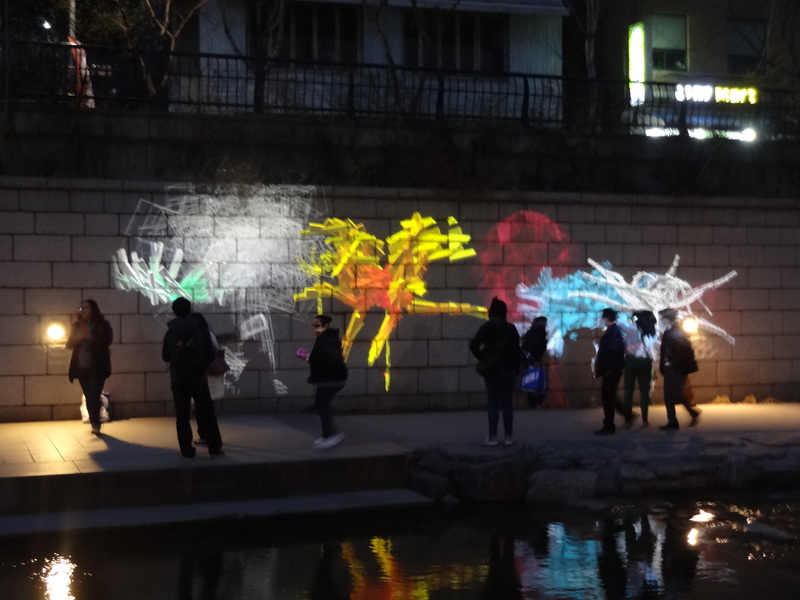 Also some cool designs were projected on the wall by the stream. I think they moved around with the people looking at them. My last picture of the night, a panorama of the area around the stream. The next day I took a plane back to Tokyo. Seoul was great and I would love to go again. There was so much that I didn’t get to see! On my first full day in Korea, I got an early start around 7:30 am. 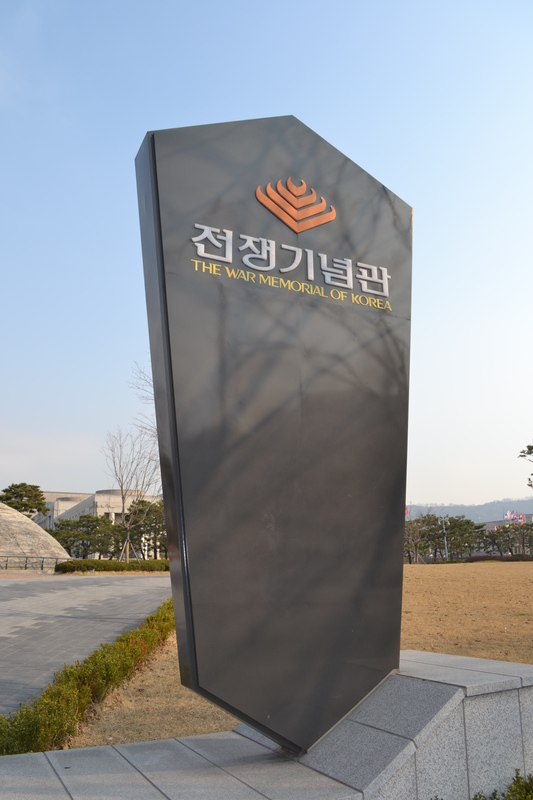 I checked out of the jjimjilbang (Korean all-night spa) and headed to Dongdaemun station. That day I was meeting a friend from America who happened to be in Seoul at the same time for work. 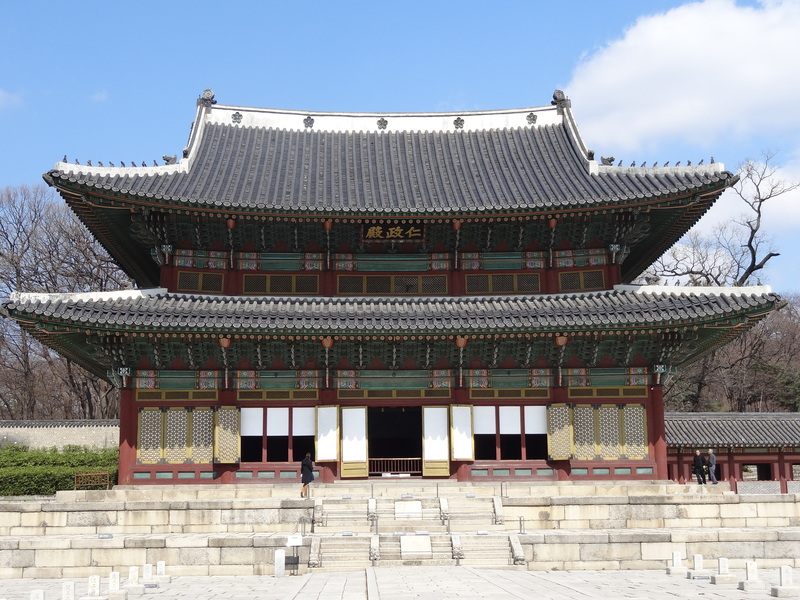 We were going to meet at Gyeongbok Palace when it opened at 9 am. I was worried that I would get lost on my way to the palace, but the Seoul subway system was very easy to use, even during the morning rush hour. It seems like there is a train every 3-5 minutes. I got there in plenty of time and got to see the palace in the early morning light. When my friend got there we bought our tickets and took a look around. There were English signs in each area to tell us what we were looking at. 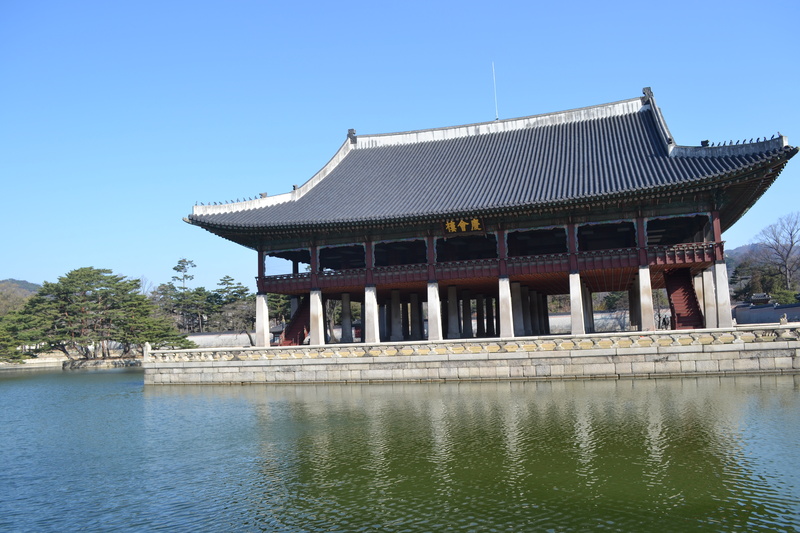 I was very happy to see that Gyeonbok Palace was the birth place of the Korean alphabet (Hangul) and the first place in Korea to get electricity. It was very beautiful. I could also see that it was heavily influenced by Chinese architecture. There was a large garden at the palace, but it was too early in the year for any of the trees to be blooming. I’m sure it would have been beautiful a few weeks later. 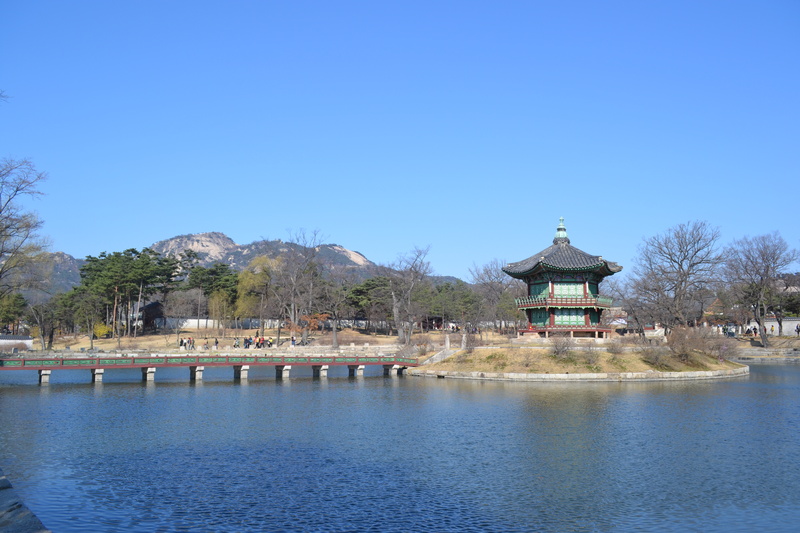 Near the palace grounds there are two museums, the National Folk Museum of Korea and the National Palace Museum of Korea. I had time to tour both. The National Folk Museum had a lot of English explanations posted around and was educational and enjoyable. The National Palace Museum had very little English, but the exhibits were beautiful. The National Palace Museum provides free guided English tours. I didn’t arrive in time to go on one, though. My Chinese zodiac animal is the rabbit. 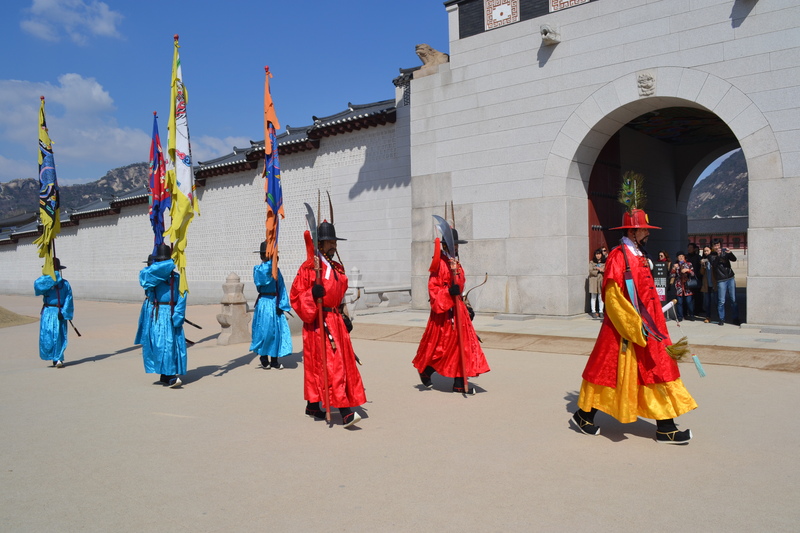 Before we left we were lucky to catch a reenactment of the changing of the guards at the palace gate. 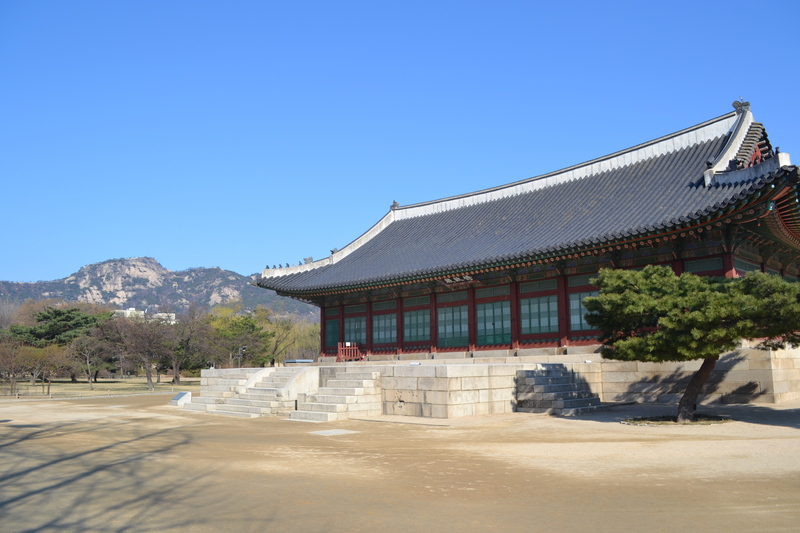 After Gyeonbuk Palace, I said goodbye to my friend and headed over to Changdeok Palace. This palace is a UNESCO World Heritage Site. 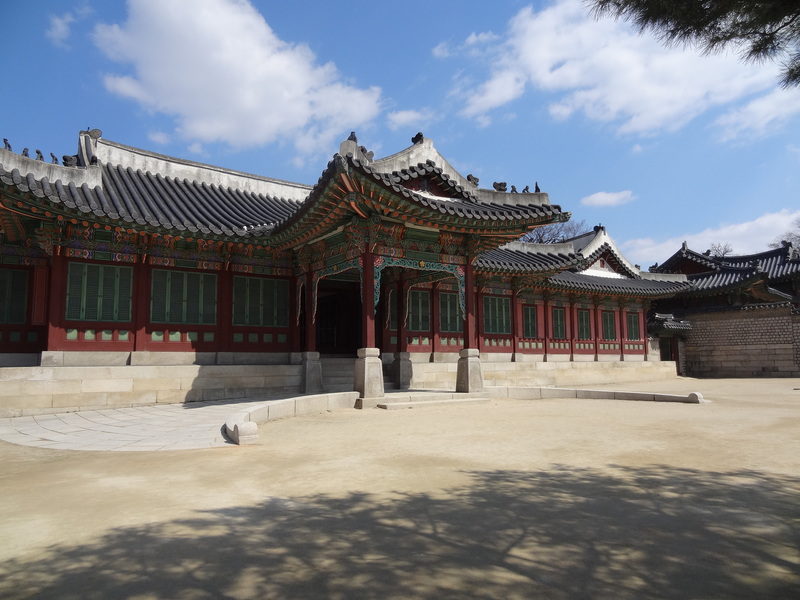 The palace buildings were a little similar to Gyeonbuk Palace, but the layout was different. There was also an even bigger garden, but it can only be viewed on a guided tour. I didn’t think it would be very nice this time of year, so I skipped the garden. I saw a palace building with a parking space for cars for the first time here. 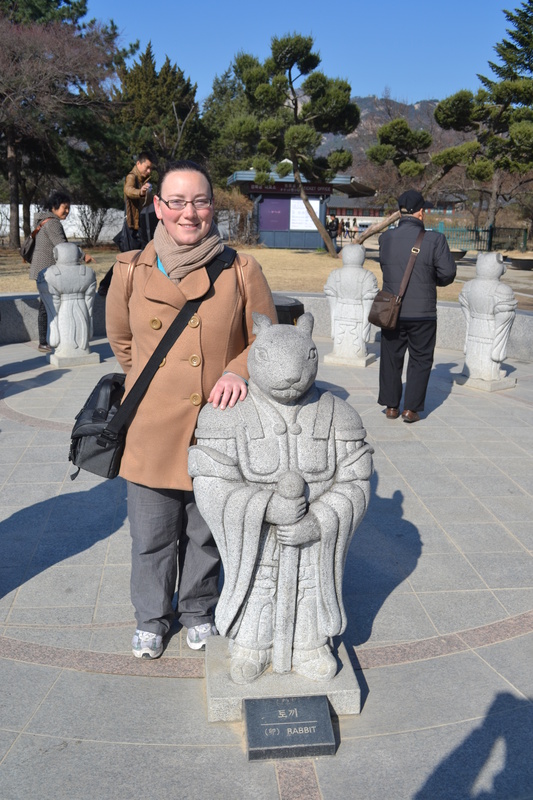 After touring the palace grounds I walked over to the Bukchon Hanbuk Village that was nearby. 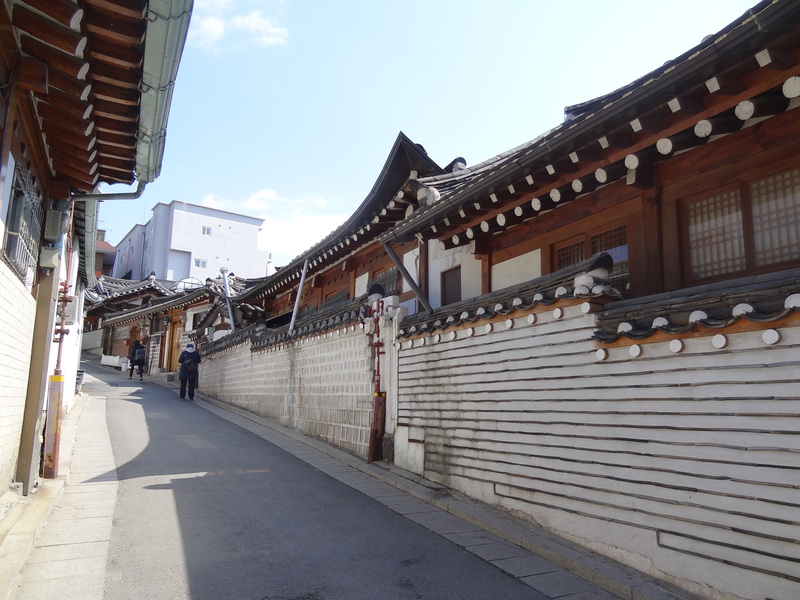 This is an area of Seoul that has very old traditional houses that are still being lived in. Many of the houses were surrounded by high walls however. The area was perfect for a quiet stroll, and the streets were lined with shops and restaurants. I enjoyed this peaceful area. After getting some bibimbap (vegetables and an egg served on rice in a hot bowl)for lunch, I decided it was about time to check into my youth hostel. I booked a hostel in Dongdaemun so that I could stay close to the action. Dongdaemun is close to many of the big tourist attractions, so I think it was the perfect area to stay. I came across some performances in Dongdaemun that night. It looked like a dance competition. That night, I decided to check out another night market in Myeongdong. 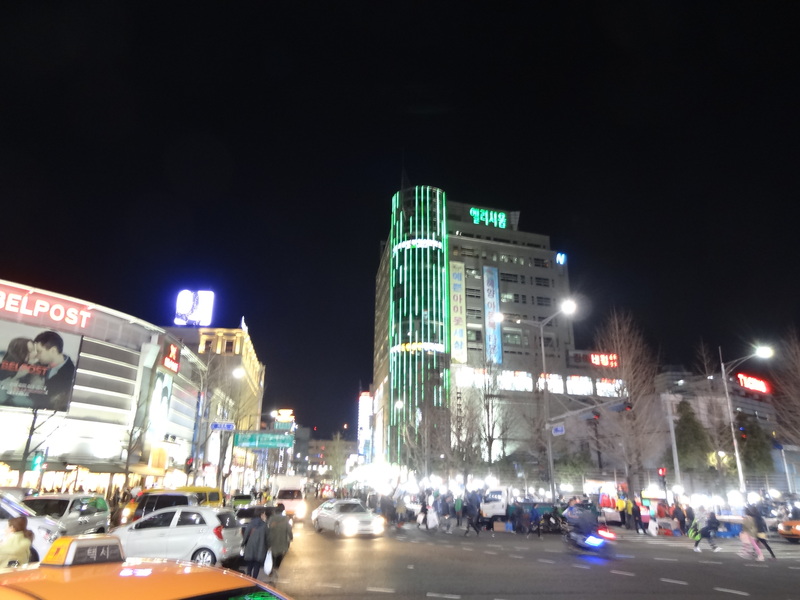 I really liked Myeondong a lot. It felt a lot like Shibuya or Shinjuku in Tokyo. There were vendors lining the streets selling clothing, jewelry, handbags, souvenirs, and food. There were also regular stores like H&M and Zara. From Myeongdong you can see the N Seoul Tower, which lights up every night. I explored a lot of side streets and thought about buying some souvenirs, but I had a feeling they were overpriced. This night market wasn’t open as late as Dongdaemun. Shops started closing around 9pm. I had Korean style barbecue for dinner and then made my way back to the hostel for some much needed rest. This was my third trip out of Japan to a nearby country, and my first trip alone! Seoul was a great choice for a solo trip. The flight time was short, about 2 hours from Tokyo. Navigating the Seoul metro system was ridiculously easy and also very cheap. Each one way trip only cost about $1 (US). Also, there was English everywhere, and where there wasn’t English, there was Japanese. Being bilingual is great sometimes! My plane was taking off at 6:20 pm in Tokyo and would land in Seoul at 9:10 pm, so I made a point of getting my currency exchanged to Korean won before getting on my plane in Tokyo. But when I arrived in Seoul, despite the late hour, the currency exchange was still open! I’ll keep that in mind in the future. From the airport I took a train to Seoul station. So it’s 11pm, I’m alone in Seoul, what do I do? I go to a night market of course! There is a great night market in Dongdaemun that is open from 8 pm to 5 am. 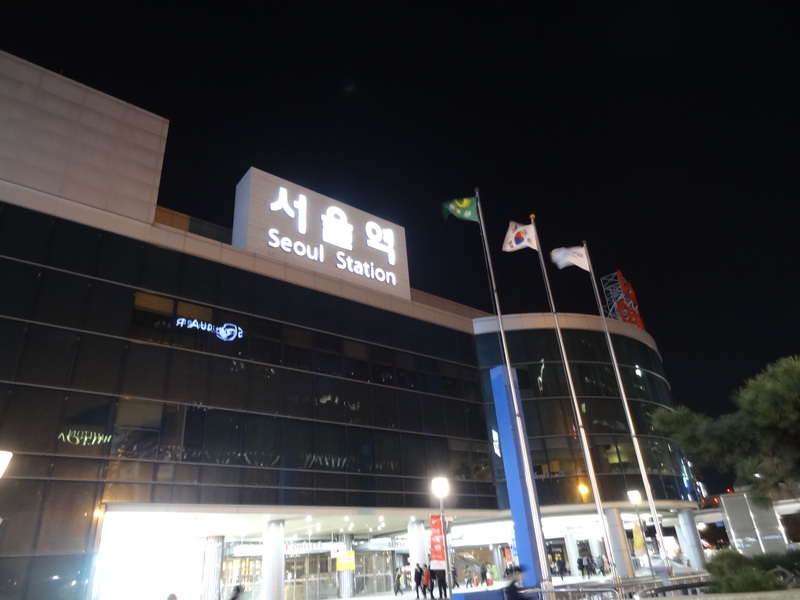 Dongdaemun is a short ride from Seoul Station. I arrived and put my bag in a coin locker ($3) and headed out to see the sights. There were a lot of people out shopping and eating food from street stalls. 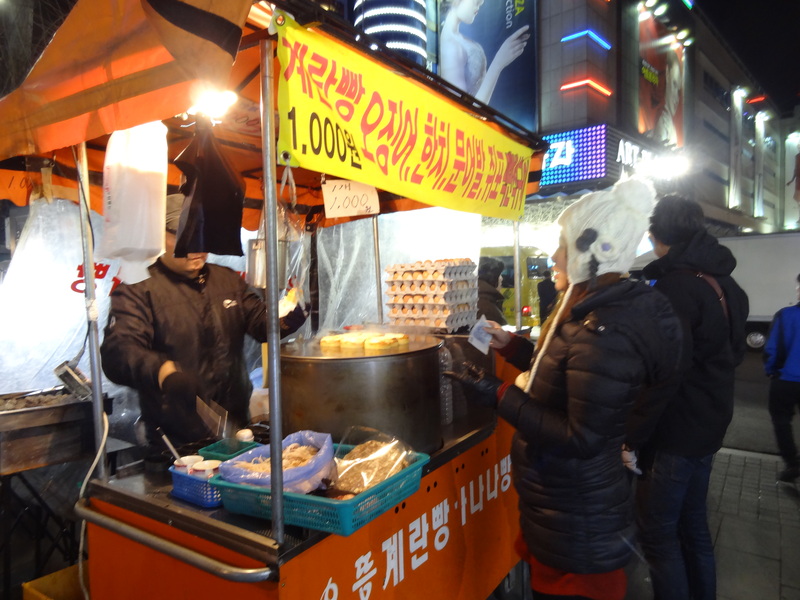 A stall selling some kind of omelet. I had a hot dog at a different stall later. The market wasn’t exactly what I was expecting. The items for sale were clothing, accessories, and cosmetics. Not very many souvenir type things. If you are serious about getting some clothes from Korea, then this is the place for you. The shoppers were a mix of people looking for good deals (everything was very cheap) or people looking for wholesale items to use in their own stores the next day. I simply looked around and enjoyed the atmosphere. Around 1 am I got tired and went to a tourist information booth (open at night!) and asked for the location of a Korean spa (jjimjilbang). I was directed to one in the basement of a large department store across the sidewalk. Why go to a spa? Because it is a cheap place to take a bath, get something to eat, and take a nap. I really recommend staying in a jjimjilbang if you are in a pinch and need somewhere to sleep. 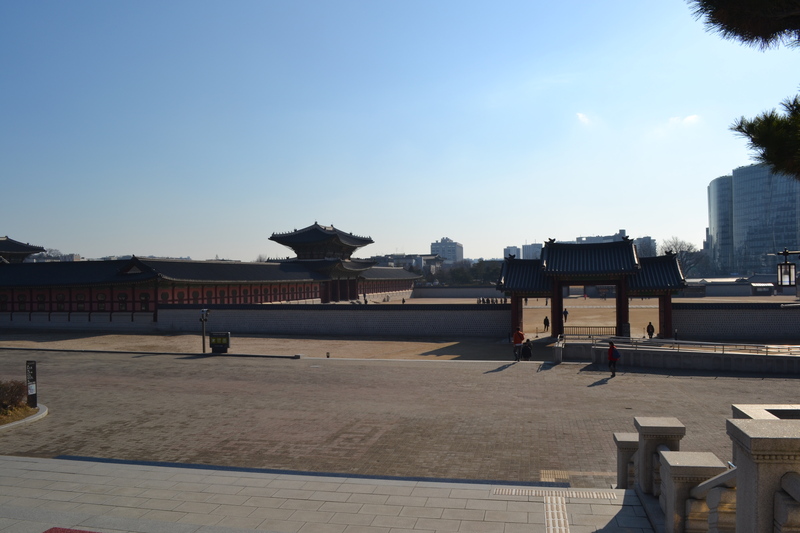 I stayed the night for only 10,000 won ($10). When you enter, they give you a key with a number on it, take your bag, and give you some towels, a t-shirt, and shorts. First, you lock up your shoes in the foyer, then you go into the locker room to change and lock your belongings into a bigger locker. I was expecting the spa to be similar to a Japanese onsen, so I didn’t bring any of my shampoo or conditioner with me. Unfortunately the spa only provided a bar of soap. I made sure not to get my hair wet and took a relaxing bath and watched some television. There were a lot of other Korean ladies there doing the same thing, washing their hair, and brushing their teeth. It was a nice atmosphere. When I was ready for bed, I put on the provided t-shirt and shorts and found an empty bed in the sleeping room. Yes, there was a sleeping room full of beds. There weren’t any blankets, but it was warm enough inside without one. I got about 5 hours of sleep. Around 7 am everyone’s cell phone alarms started going off though so I took another bath and left around 7:30. 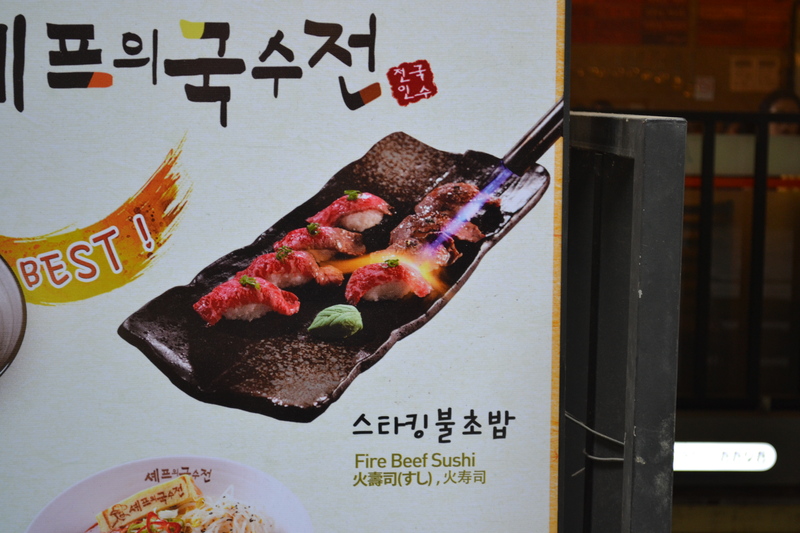 I don’t want to make this post too long, so I’m breaking my Seoul trip up into 3 parts.